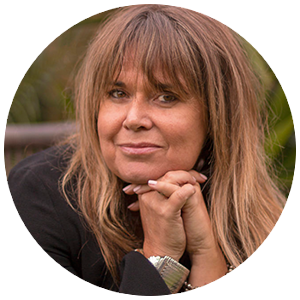 Dr Julie Vecera is one of Australia’s leading practitioners in women’s health and fertility and has presented widely on the topic of fertility acupuncture and women’s health through webinars and seminars over the past decade. 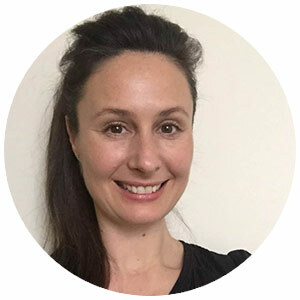 Julie is a Dr of Chinese Medicine and is a certified Nutritionist practicing out of her own The Fertility Pod Acupuncture and Nutrition clinics located around Melbourne and Sydney. She also founded the Fertility Lifestyle Program which is a result of years helping couples across the world with infertility issues. Through her close affiliation with Monash IVF Julie has been able to collaborate with some of Australia’s leading fertility specialists. Her collaborative approach to treatment has been embraced by many world renowned specialists and she has become a leader in bringing the notion of collaborative, conventional and complementary fertility treatment to the fore for practitioners and patients alike. 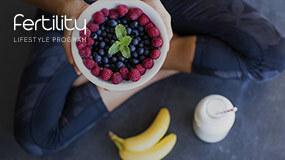 Passionate about educating couples, Julie has done much research on both the affects of food and lifestyle to boost fertility and the hormonal and autoimmune issues affecting women’s fertility health. Now one of Australia’s most in-demand practitioners for women’s health issues, Julie generously offers an enormous amount of time supporting couples through the stress of infertility with the successful Fertility Lifestyle Program which has grown internationally with support from worldwide renowned fertility specialists. Meg graduated from RMIT University with a double degree in Applied Science/Chinese Medicine/Human Biology in 2006, her knowledge encompasses both Chinese Medicine, Nutritional Medicine and the Western Medical sciences. Over five years Meg studied Anatomy, Physiology, Biochemistry, Neuroscience, Pathology, Western Medical diagnosis and Pharmacology whilst also learning the art of Chinese Medicine Diagnosis and Treatment. In 2006 she travelled to China to complete her clinical internship at Nanjing University of Traditional Chinese Medicine. Here she spent 5 months in the departments of Acupuncture, Gastroenterology, Gyneacology, Dermatology, learning from experienced Chinese Doctors in these fields and developed a special interest in Chinese Medical Gyneacology, Assisted Reproductive Medicine, Obstetric Acupuncture and Acupuncture for Emotional and Mental health. Since completing her degree Meg has done further study in Classical Five Element Acupuncture, which is particularly effective for emotional disorders and is also currently a candidate in the Masters of Human Nutrition program at Deakin University. Meg has now been practicing Acupuncture and Chinese Medicine for over 8 years, she has predominantly directed her focus toward helping patients overcome Anxiety disorders, Natural Fertility enhancement and achieving better outcomes for IVF patients. When consulting IVF patients her special interests lie in preparation for IVF cycles with Diet/Nutrition, stress management and improving the overall Gut Health of patients to enhance cellular uptake of nutrients and improve immune function and factors contributing to egg/sperm development. Meg is also interested in guiding patient through Liver detoxification in between IVF cycles to encourage natural hormonal balance and vitality. Meg is the author of the eBook The YIN/Yang of Stress: 5 ways Chinese Medicine can help you achieve emotional balance, physical vitality and lasting peace of mind, and is currently developing an online course to help patients manage stress through Wholefoods, Movement & Breath, Nourishing the Spirit and Embracing Rest. Trained at RMIT University in Melbourne, Vivian was awarded the double degree in Applied Science/Chinese Medicine/Human Biology in 2007, as the Top Student with First Class Honours, excelling in Western Biomedical Sciences, Western Medical diagnosis and on top of traditional Chinese Medicine Diagnosis and Treatment. 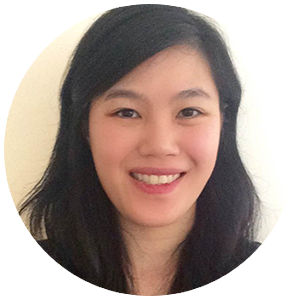 Vivian has a special interest in Chinese Medical Gyneacology, Assisted Reproductive Medicine, Obstetric Acupuncture and Acupuncture for Emotional and Mental health. Vivian aims to promote healthy fertility and pregnancy via a holistic approach, with personalised care plans and nutritional regimes, complemented Chinese traditional remedies as necessary including fertility acupuncture, herbal medicine, etc. 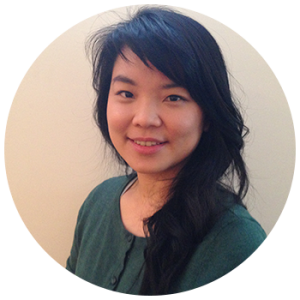 Vivian has over eight years experience in professional consultation and treats a wide range of health conditions in Chinese Medicine and joined the team at The Fertility Pod in 2011. An accredited member of the Australian Acupuncture and Chinese Medicine Association (AACMA). Vivian is available at The Fertility Pod on Monday, Wednesday and Thursday in Carlton, Friday in Hawthorn. Sharmaine is one of Melbourne’s leading specialists in fertility acupuncture and is a traditional Chinese medicine herbalist successfully helping couples conceive for the past 15 years. She specializes in the treatment of infertility (male and female factor), pregnancy support, pre-birth preparation and women’s health. Sharmaine joined The Fertility Pod at its inception and brings her wealth of clinical experience and success of helping couples get pregnant and stay pregnant, naturally and/or by supporting IVF and other assisted reproduction protocols. She can provide the treatment and support you need to help you navigate your fertility treatment more successfully prevent miscarriage support pregnancy and guide you through each trimester prepare for labour with pre-birth preparation. Sharmaine concentrates on balancing the reproductive system and hormones, and reducing stress for both men and women. Her treatments are focused on each patients specific clinical presentation. Every patient is different and every patient is given the differentiated care and attention they need. She utilizes acupuncture, herbal medicine, supplements, nutritional guidance and lifestyle counselling. Sharmaine works in conjunction with patients doctors and health care providers to achieve the fastest, most beneficial results, and endeavours to create a healthy balance of natural and allopathic practices in their lives. Sharmaine has found that male and female co-treatment brings about the best results for conception, reduced miscarriage, a healthy pregnancy and a healthy baby. She believes that healthy mums and dads to be have the best chance of making healthy babies. Patients feel confident with Sharmaine’s natural, relaxed manner and her knowledge. She is well versed in IVF and assisted reproductive protocols and medications, the Drs and the various IVF clinics in Melbourne and is able to give you current and accurate information. Sharmaine is also committed to helping people live happier, healthier lives with acupuncture and Chinese herbal medicine treating common ailments like colds and flus, immunity issues such as hayfever, headaches, and digestive disorders to name but a few. Awarded scholarship for a clinical internship at the renowned Kyung Hee University Hospital in Seoul. During this time she received specialist clinical training in the gynecology/reproductive health, pulmonary, endocrine, pediatric, hepatic and opthamalogy departments. Olivia Ma graduated from RMIT after completing her internship at the Jiangsu hospital in Nanjing, China. She has also worked as a specialist in fertility acupuncture at the Emergency Department at the Northern Hospital in Epping. 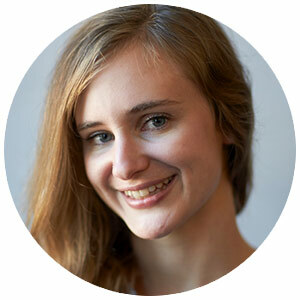 Olivia is the fourth generation in her family practising Chinese Medicine. Olivia likes to incorporate traditional Chinese medicine with modern research to optimize treatment efficiency. She is also versed in Japanese acupuncture. She favours the gentle needling technique of Japanese acupuncture, and finds it especially beneficial for those who are sensitive or needle shy. Olivia is passionate about assisting couples along their fertility journey, from pre-conception to post-natal care. She also loves treating dermatological cases and seeing the tangible skin response to acupuncture and herbs. Olivia is available in Carlton on Tuesday and Sunday. Millicent practices both traditional Chinese and Japanese Acupuncture. Japanese Acupuncture is a very gentle form of acupuncture renowned for its pleasant and subtle treatments. Her treatments often include moxa and massage. Trained in Tuina (Chinese Remedial Massage), Thai Massage and Chi Nei Tsang (abdominal detox massage), Millicent often incorporates these holistic therapeutic massages and cupping into treatments. Treating women and children is a special interest of Millicent’s. She loves to assist women to feel healthy, relaxed and at ease throughout their cycle and pregnancies with acupuncture or massage. Chinese Dietetics are often included in her treatments. This could be as simple as adding a daily ginger tea or switching from fresh to cooked salads. Millicent qualified as an acupuncturist in Brisbane, went into practice immediately and soon after started working at Endeavour College as a tutor. She also apprenticed in Japanese acupuncture. Milllicent’s Tuina qualification was also gained in Brisbane. She has studied Thai massage in Thailand during an extended visit. Chi Nei Tsang was studied in Thailand and in Australia. Her ongoing studies include Japanese acupuncture, Fertility acupuncture, Psychology, Childbirth Education and vipassana meditation. Millicent is registered with AHPRA and AACMA so rebates from health funds are available for treatments. 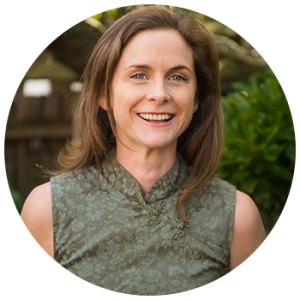 Dr Danielle Maguire is an Acupuncturist, Herbalist and Human Biologist who believes that combining the best in Western and Eastern Medicine is what brings about profound, lasting change to women’s bodies. Seeing hormones and fertility as an indicator of overall health, Danielle works to restore health in all aspects, creating happy, healthy and fertile bodies. Combining the latest research with ancient knowledge and her warm, gentle approach, Danielle tailors her treatments to suit individual client’s needs. In addition to hormonal health and fertility, Danielle loves seeing the difference Chinese Medicine can make to stress and anxiety, how treatments can nourish and heal leaving women feeling calm and ready to conquer the world! Danielle is an AACMA and AHPRA registered practitioner and practices at The Fertility Pod Clayton on Tues, Wed and Thur mornings. 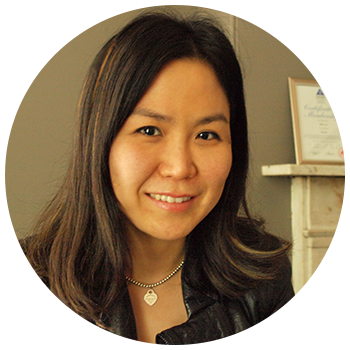 Dr. Mira An is a Doctor of Chinese Medicine – registered with the Australian Health Practitioner Regulation Agency (AHPRA) and is an accredited member of the Australian Acupuncture and Chinese Medicine Association (AACMA). Mira trained in Seoul, Korea as a clinical dietitian at Severance Hospital and realized food can play a core role in life changing health and fighting diseases. Mira spent a year in Beijing studying Chinese literature at Qing Hwa University and was fascinated about the classic theory of Traditional Chinese Medicine completing a double degree of Chinese Medicine & Human Biology at RMIT. Mira utilizes Classical Five Element Acupuncture and Eight-Constitution Medicine with a deep insight in to somatic, social and physiologic aspects of human beings as a whole. She has a great interest in fertility, immunologic diseases, allergies, complementary dermatology as well as metabolic/endocrine imbalance. At The Fertility Pod (formerly Bump Acupuncture & Nutrition), our focus is on the physical and emotional state of the person as a whole. This means looking at being in optimum health to maximize the chances of fertility and the ability to bounce back after the pregnancy. Whether you are trying to get pregnant naturally, or are needing that extra bit of IVF support, we are there with you. For this reason we have created the Fertility Lifestyle Program to help guide you through the journey of becoming pregnant. All treatments are designed specifically for your particular needs through a combination of IVF acupuncture, nutritional advice, herbal medicine and massage. Our clinic provides a place to relax between appointments both before and after your embryo transfer. We want to fill the voids we have experienced throughout the IVF process. Pre/Post embryo transfer acupuncture is done at our Monash IVF locations in Richmond and Hawthorn as well as our Carlton and Clayton clinics. We are now treating patients in Sydney at Monash IVF Parramatta.